Why would international shipping be any more risky than domestic shipping? It would just be sitting in a plane longer but the amount it is handled shouldn't be any different. I guess you have not seen videos of UPS employees playing football with packages? It's not length of flight that matters, it's number of people who will handle it, and international shipping is a TON of handling, several airports, UPS/Post Office hubs, .... Infinitely more football games possible during that process. All just hype buys. Anyone purchasing for better than $200 - $250 is just wrong. I think if they continue to do short runs for their books, all of the super-rare variants will eventually fall, because it won't be the once-in-a-lifetime variant for a character, it will just be this year's super-rare variant. I may ask about series length at the NYCC panel tomorrow. Is it confirmed CGC will not slab? 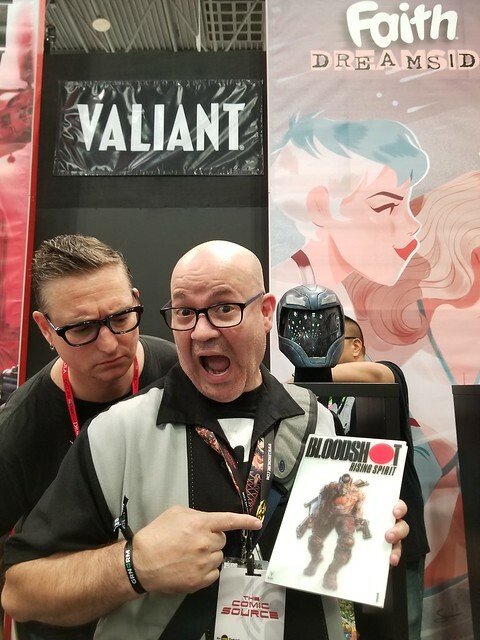 I've been talking to a couple of "slabbers" that are currently at NYCC, and he stated that Valiant gave them (CGC) a handful of books to see if they are slabable. Right now, there is no news, but I am sure as we get closer to the kick off of this series, we will know 100% one way or the other. The person who talked to both Valiant and CGC is a major slabber, I do believe he currently owns the cert for most X-O Manowar covers in the CGC registry (2012 and 2017 I think). Anyways, his inspection of the glass covered book was a positive one. He thinks they should be able to be slabbed with no problems. It is not fragile, it is pretty thick. The edges of the glass itself is rounded... I’m not familiar with glass, but if comparing to wood, it looks like it the edges were smoothed with router, not just a ruff cut. I believe it is attached to the actual front of the paper cover the same way the metal was attached. I’m not a big Bloodshot fan, so I probably won’t buy one. Still, I love it. I wish they would release just the glass part in some other way. Even without the comic attached, it’s a great collection item. And plan on one bring released for the Livewire and new Toyo Harada series.... and I believe one more series, but I can’t remember the title name. With Bloodshot, that will make four. 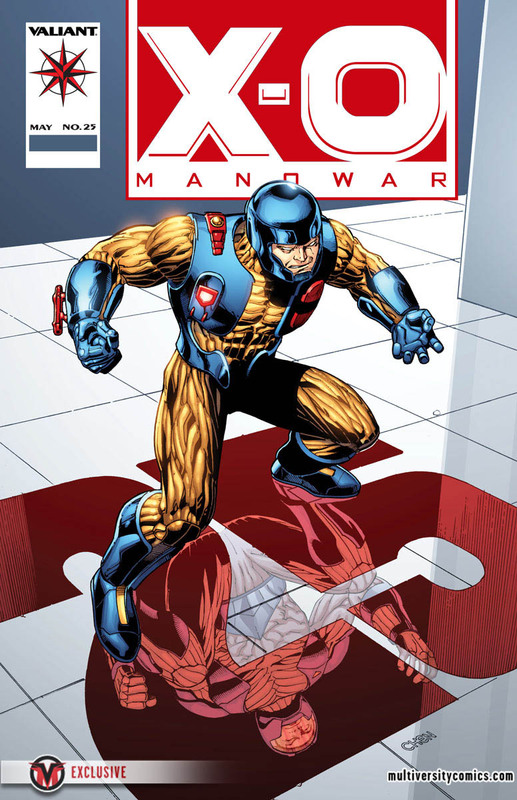 No plans for one to be released for an X-O Manowar comic yet. They’re only planning to do these glass covers for #1 issues. I hope that doesn’t mean they will do away with gold covers. It has been unifying that each regular series that has started to date has a gold cover. I asked about slabbing after the panel. CGC will slab it, and they've done a bunch of testing to see if it will break, and the glass is really study. They dropped it a bunch of times and banged stuff against it, and the cases broke, but never the glass. That's what I'm told. Expect confirmation from them on this soon. I held it too! It is extremely durable and Fred told me they even hit it with a hammer and it didn't break. Obviously I am not saying it can't happen but the thing is a tank and really cool. It's out of my price range, but I love Bloodshot so maybe someday. Is that an Xo Manowar helmet behind you. Omg tell me about that. I was there. They look like one-offs, not a buyable product. Could they be from ninjak Vs? Anthony posted that these are the web series props. Very cool. There was also a preview of a Faith mini bust that will come out next year. They had a limited number of the new Bloodshot action figure. Of course, new pins as well. That X-O helmet is sweet!!! 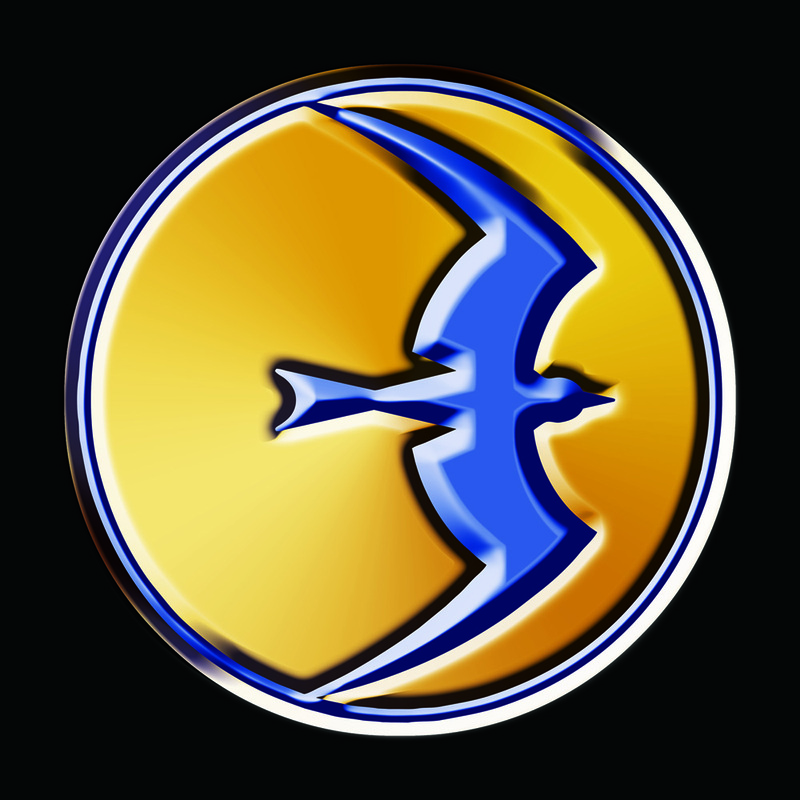 I think it would be cool for Sideshow or EFX to make this. Maybe limited runs like the Vader and storm trooper helmets. I would buy it for sure! Cool props. Would love to have the X-O helmet. Oddly enough, the foam head for Ninjak wasn't weighted so it could stand up on its own. When I saw it, it was leaning up against the display wall, face-in. I had my brother-in-law sneak around behind it and hold it upright for the pic. But they both looked pretty good! I'm kinda wondering what the X-O helmet is made of now... it doesn't look like EVA foam, which is a popular cosplay material.